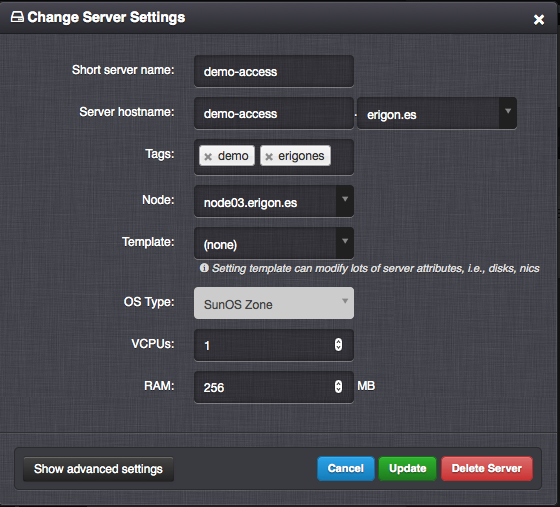 The access zone is a SunOS Zone virtual machine, which can be used as a software router, firewall and VPN server. 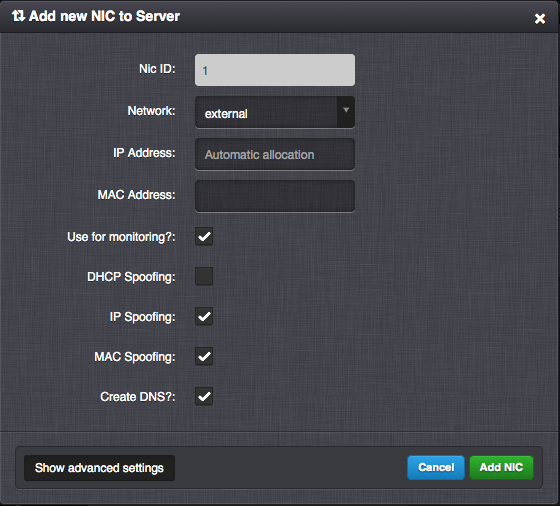 Create a NIC for external network traffic (net0). 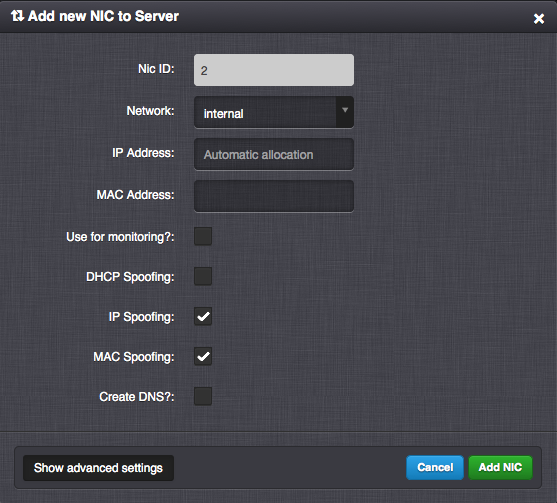 Create a NIC for internal network traffic (net1). The internal and external NICs must have IP and MAC spoofing enabled. These settings can be enabled only by a SuperAdmin. Check IP address of both network interfaces. Adjust basic firewall rules (111.222.222.234 in this case is an IP address of external interface). # Allow everything passing via VPN interface. # Allow everything passing via internal interface. # Allow everything out to the internet. # Allow ssh and openvpn service. Validate the syntax of basic firewall configuration. Enable the ipfilter (firewall) service. More NAT rules (optional). Please fill in the actual IP addresses of virtual machines mgmt01.local , dns01.local , mon01.local and cfgdb01.local instead of the placeholders like %%MGMT_IP%%. Validate the syntax of NAT configuration. Download and unpack the EasyRSA tool used for management of VPN certificates. Fix shell in the easyrsa script. Change the first line in the easyrsa file to #!/bin/bash. This is because of a bug in easy-rsa. Create PKI certificates for the OpenVPN server. local - IP address of the OpenVPN server. server - IP address range for VPN service clients. push - IP subnet, that should be added to the client’s routing table. Enable the openvpn (VPN) service. Create a VPN client certificate. You can optionally append a nopass parameter to the ./easyrsa gen-req firstname.lastname command in order to create a client’s private key without a passphrase. This may be suitable for a server-to-server VPN connection and you should protect the private key by other means. Create a VPN client configuration. Please add the content of client’s certificate and key to the configuration. OpenVPN client applications may require to be run with administrator privileges, since they need to modify the operating system’s routing table. For remote node to be able to connect to Danube Cloud services, you need to add port forward rules into ipfilter configuration.